Say hello to our beautiful Nat, she is currently on maternity leave & this is our first Christmas in 3 years without her incredible wreath making skills - SOS. You know when Nat is working because you can hear her favourite song (CLICK ON SONG LINK) playing. She is also the mother of Mort who you may have seen modelling our dog garlands from time to time! 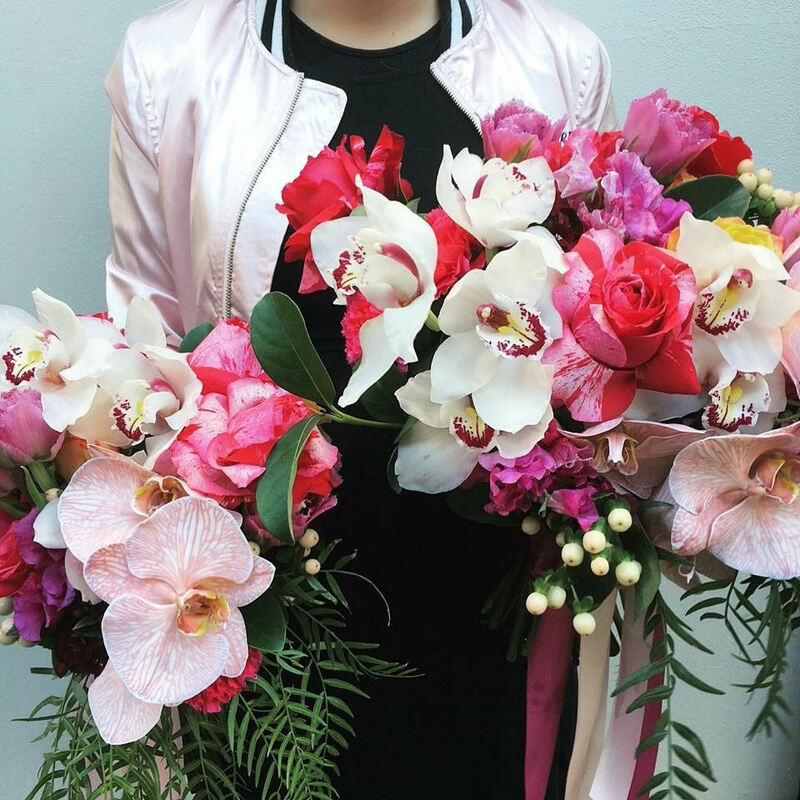 Fun fact, the first ever bouquets Nat made were Donna & David - she was born to be a florist, a true natural. 1. Hi Nat, what is your favourite flower? Hydrangea. Its so fluffy and beautiful! It comes in so many different colours and varieties. Its such a versatile flower and so classic. 2. Go to cocktail? Im boring dont drink anymore...but back in the day anything light and fruity was always my go to. 3. Favorite dog? Pug ! Whats not to love about a pug ? Their flat faces , crooked teeth, curly tails , their snorts, their ridiculous personalities or the fact that they don't think they are dogs!? 4. Favourite thing to make? Pastels and whites are my go to tones . I love making big chunky grouped style bouquets. 5. Fav colour combo? Its hard to pick. But blue, burgundy, apriciot and white . Im a sucker for a blue flower . 6. Favourite wedding venue? So far my favorite ive visited is all view escape in the blue mountains . That view is incredible!